Question 1: Where is the best place in the world you have been? It is hard to choose just one place. Anyways, the three places that inspired me the most the last couple of years during holiday was the city Florence in Italy; including the area of Tuscany, visited in summer 2014. Secondly the Parthenon in Athens when I visited it the first week of May 2010. And last but not least the city and its surroundings of Trondheim during the International Student Festival in Trondheim, ISFiT, in february of this year. Question 2: What was the last thing you ate? The last thing I ate, it is at the moment evening over here, some roasted and salted cashews. A lovely little snack. Question 3: Which animal do you compare yourself with? At the moment I compare myself with a jaguar. Because a jaguar is normally active during the morning and evening and for example with studying, the midday is not my best part of the day to study. So that is why I compare myself to a jaguar. Quesiton 4: What is my favourite candy? My favourite candy is panda licorice. A soft licorice and some versions have special tastes as well like vanilla. I treat it as a delicatessen, don’t eat it often but really enjoy it when I do eat it. Question 5: Have you ever been in Norway? Yes I’ve been twice in Norway – until now. I’ve been on a holiday traveling through Sweden and Oslo too. And this year I have been to ISFiT 2015 in Trondheim. Really awesome city a bit more to the north. And during those two weeks we had all kinds of weather too. But as a Dutchie I am quite used to it a little as well so it was funny to experience this in just two weeks. Question 6: What’s your nickname? People call me Sophie, Sooph or Fie (but I prefer the original ph of course hence Phie would be funny too). Question 7: If you could choose, would you be a female or a male? O I am definitely happy that I am a woman, so female would be the choice again. Question 8: What do you do for study or job? At the moment I am still a student at the Erasmus University of Rotterdam, studying International Bachelor Arts and Culture Studies. I love the subject of History of Arts and Culture the most. Followed by Economics; in general then, not really fond of the version that is adapted for the specific study. And I still love technology, a bit more math and finances than now at the moment (no math and no finances….). “Live life, laugh and love” – just made up that quote but it describes it all. Just like a book ends with:….live happily ever after. Happily says it all too. Question 10: What is your party trick? My party trick…I don’t really give an opinion about myself normally…I think I just like talking and chitchat with the other people at a party. As long as we all have a nice party, everybody smiling, some chitchat, accompanied by music and drinks. Who inspires/influences you most by making choices what to buy when you are shopping? And what color – or which combinations of colors – you can’t stand? Which section/genre of books in the library you walk to immediately? Do you want to learn another language then those you already mastered? Do you have a pair of shoes you really love and walk most on? 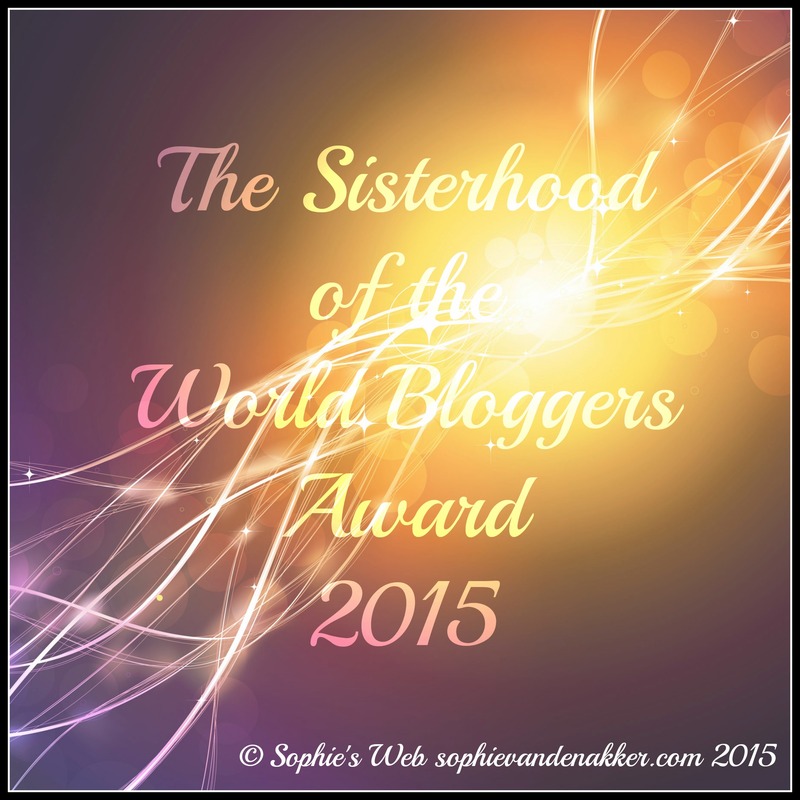 Thank you for the nomination Sophie! I’ll try to answer these questions later this week so please be patient! They sound like some fun questions to answers!